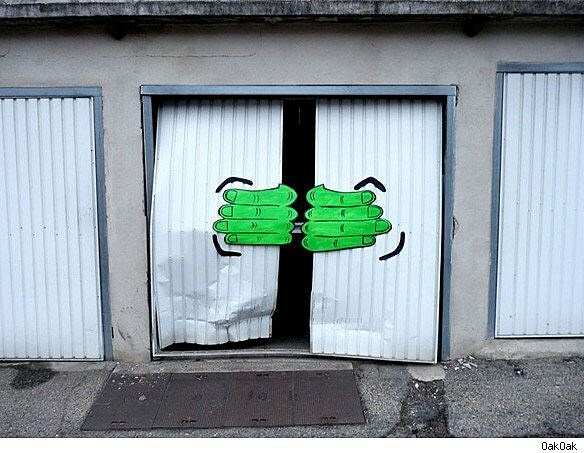 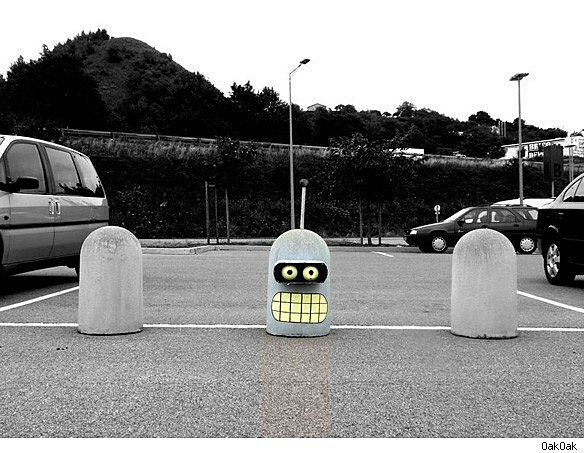 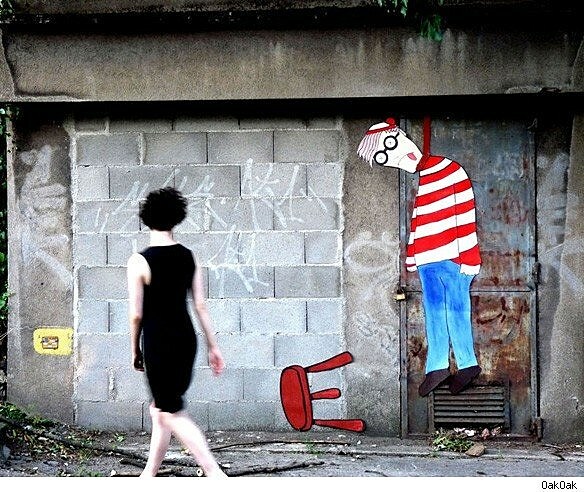 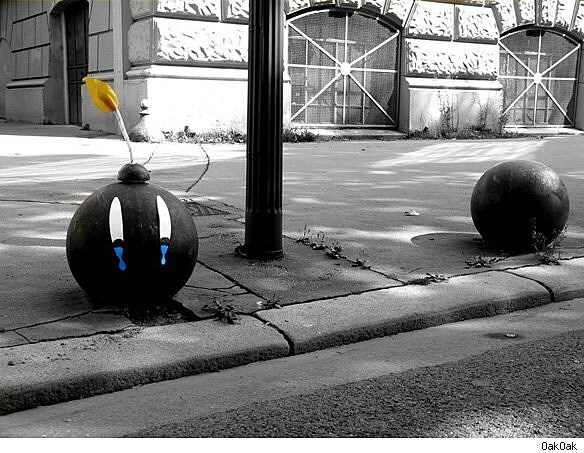 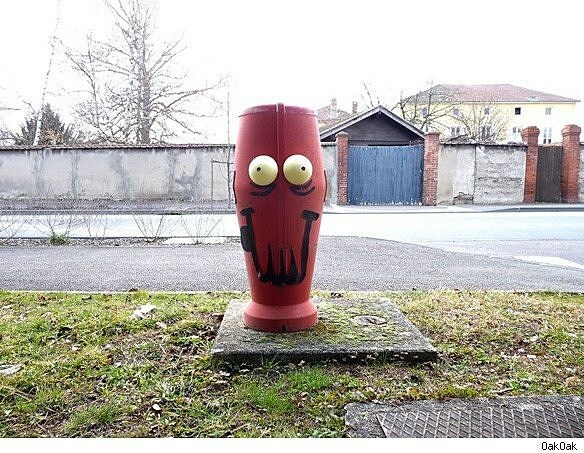 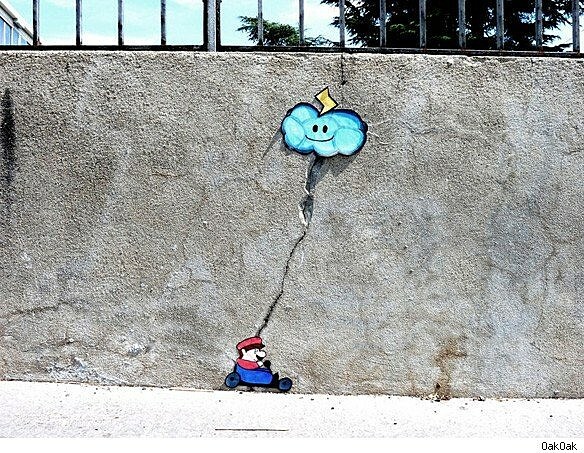 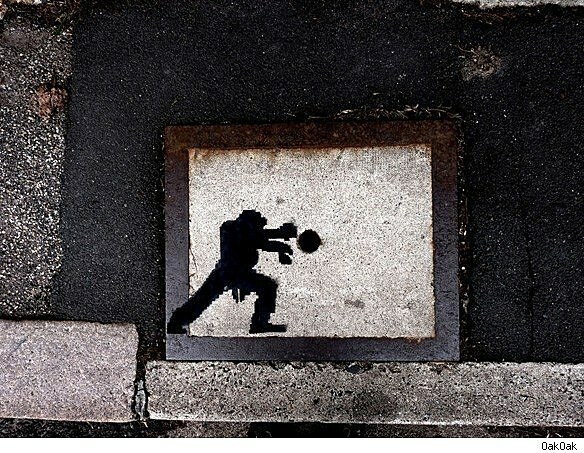 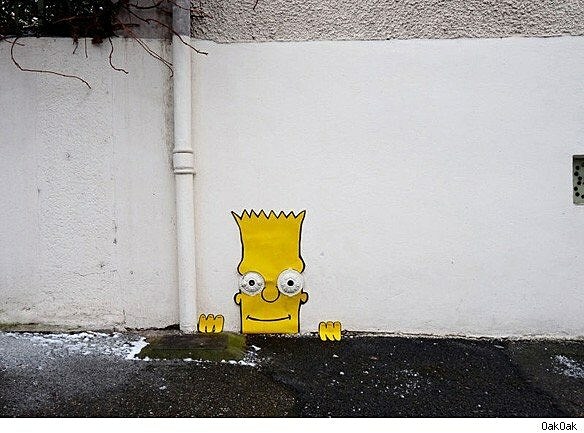 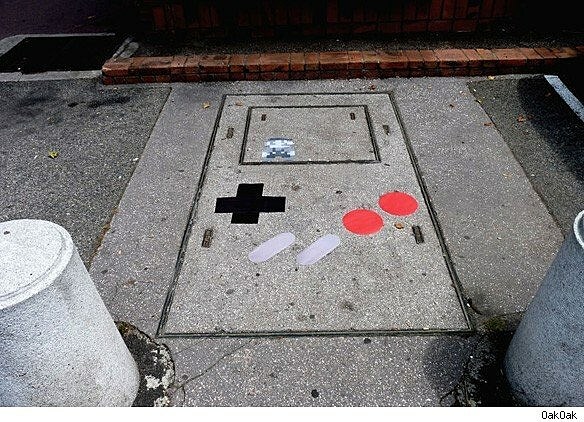 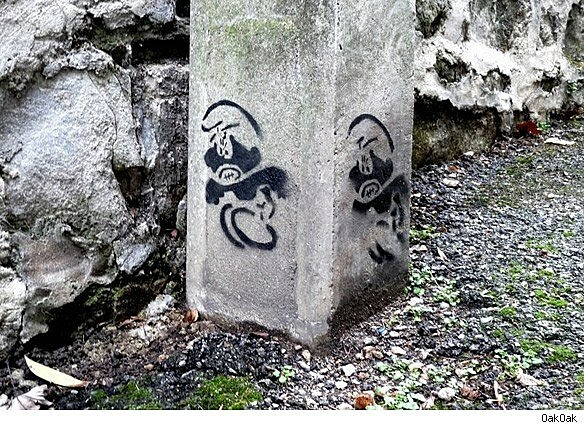 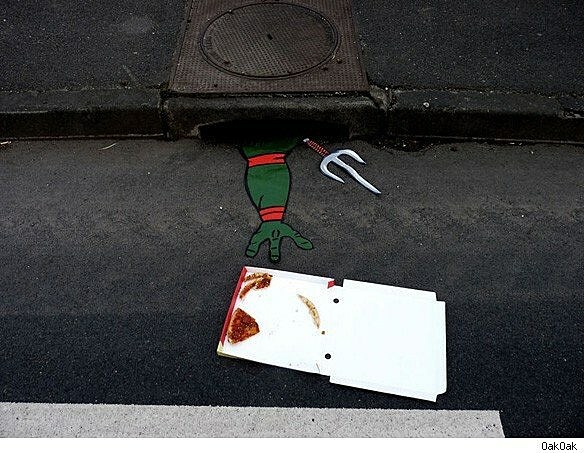 According to his website, OakOak is "a fun-loving French artist in the street" who "likes to play with urban elements." 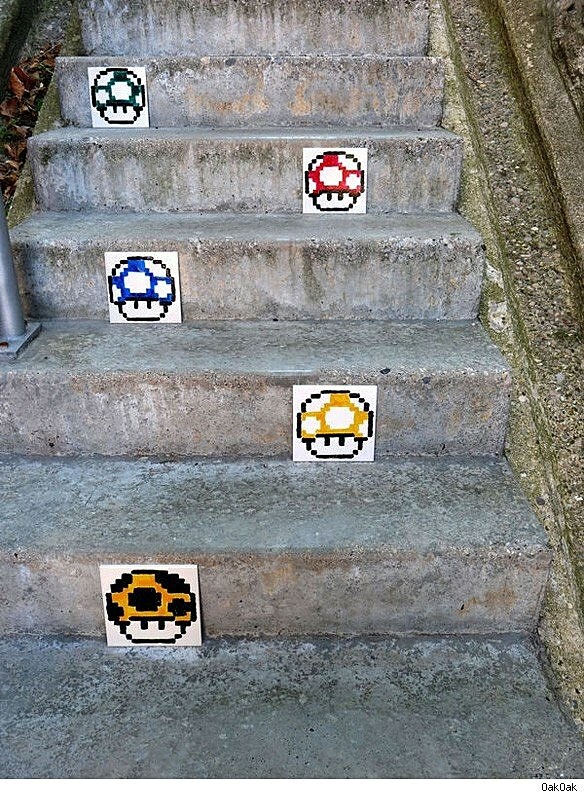 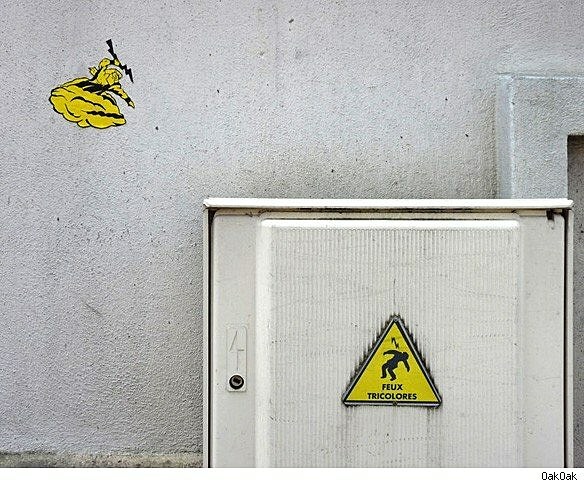 It is perhaps the most refreshingly literal artist statement we have ever read, and is truthfulness is evident in the frequently geeky work that OakOak leaves in the streets of France. 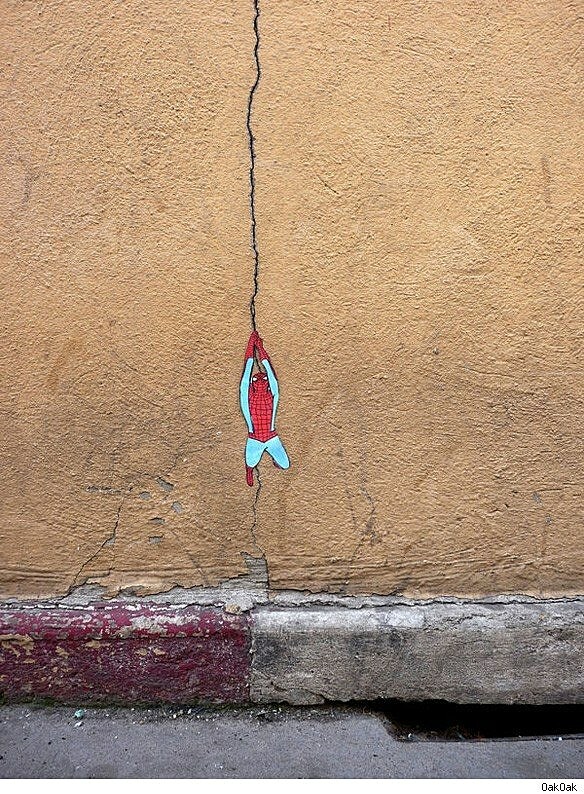 Bart Simpson, Spider-Man, Street Fighter II and Super Mario Bros. are just some of the classics invoked in Oak Oak's work. 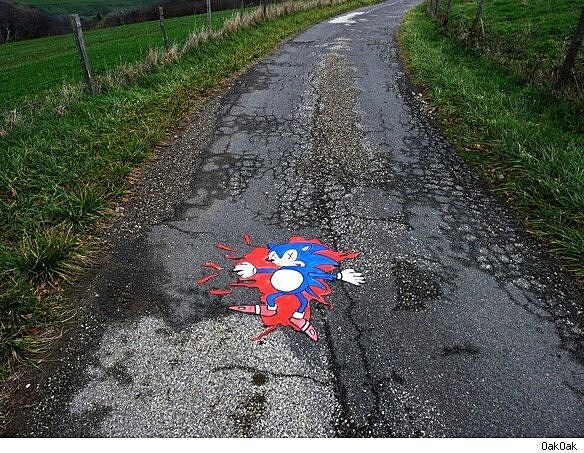 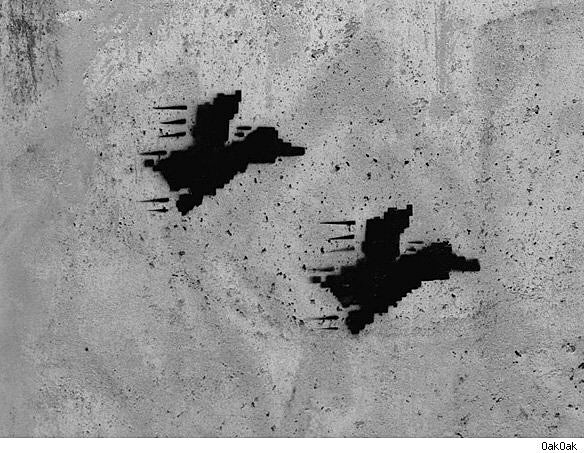 It's obvious to us that OakOak has only beautified whatever French city he's in, but we can also assume that this kind of street art legally constitutes vandalism. 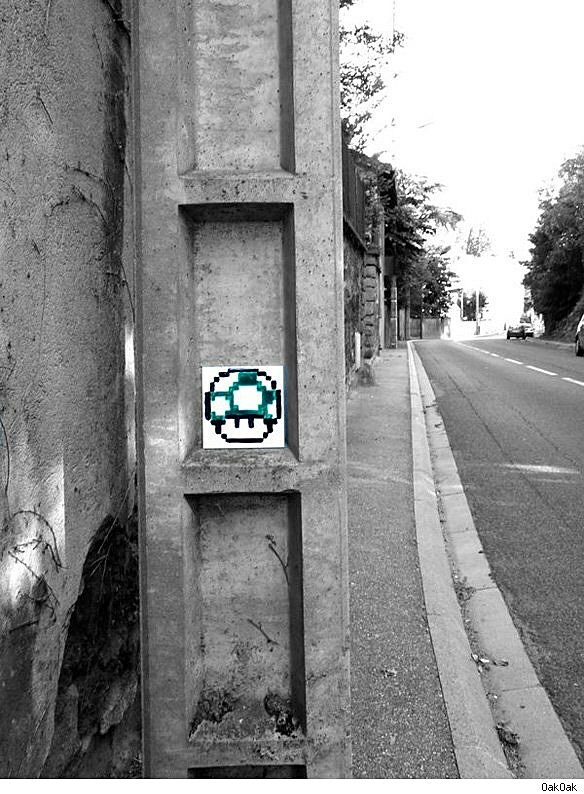 Let's hope that OakOak can evade the relentless anti-litter vigilante, Super Tri.